There is a lot of truth to this quote. You can only be as happy as you decide to be. I don’t know about you, but some days, it is really hard to decide to be happy. In fact, some days, I don’t want to be happy. I don’t want to force an emotion and a state of mind that I am just not able to occupy. On days where I just can’t seem to rise above the dark cloud, I turn to my “Happy Box”. My Happy Box got officially created when Heather sent me the most beautiful card. Heather and I hadn’t even met yet, she had just had Hannah’s funeral when she found out I was miscarrying. Our husbands work together and had been discussing Heather’s pregnancy and my issues for several months before Hannah passed, so while I knew about Heather, I had only seen her once in passing. I was so surprised when my husband came home with a card from Heather for me (although, now that I am getting to know Heather, I would not be the least bit surprised- she is truly that thoughtful and kind). While I will not share the exact wording of the card, her words gave me the validation I so desired, gave me a connection to someone who was (heartbreakingly) grieving the loss of a child, and made me remember that I am not alone. I had kept items from each pregnancy, though haphazardly stored them in bags or cardboard boxes. When I got Heather’s card, I knew I wanted to keep it close because it was the first thing that had made me smile since the miscarriage. I found a wooden box and put the card in it next to my bed, along with other items from my pregnancies and things that just generally made me smile. I decided I would open the box on days when I was particularly sad or in need of a reminder of how blessed I am. The box has been an incredible lifesaver for me- I can reminisce, smile, and get lost in a million little things that make me happy- and it has never failed me. I would highly recommend to anyone Mother of Loss that you make a box like this. Originally, I intended to share photos of each item in my box, but I just feel like some of them are too personal to me. You should have your own things that are unique and special to you. Instead, I will share with you what is in the box, and include several photos. 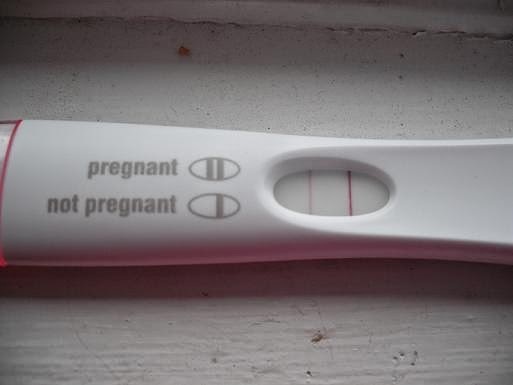 2) My first positive pregnancy test- to some, this might sound a little crazy, but it gives me hope and takes me back to a time when I was carefree and so full of love and hope- and had none of the fear I do now. 3) A picture of Jason and I are on our wedding day- this helps me take myself out of current situation. Sometimes, it is so easy to focus on the here and now, that you forget who you are together as a couple. Looking at our picture, reminds me that together, we can do anything. 4) A picture of my parents and brother- I am so close with my family, but sometimes in a state of sadness, I feel very alone. Looking at their picture helps me remember how blessed I am to have an incredible and supportive family who is behind me every step of the way. 5) A picture of a sunset I took on our deck- one of the things that most relaxes me is sitting on our deck in the nice weather at night. 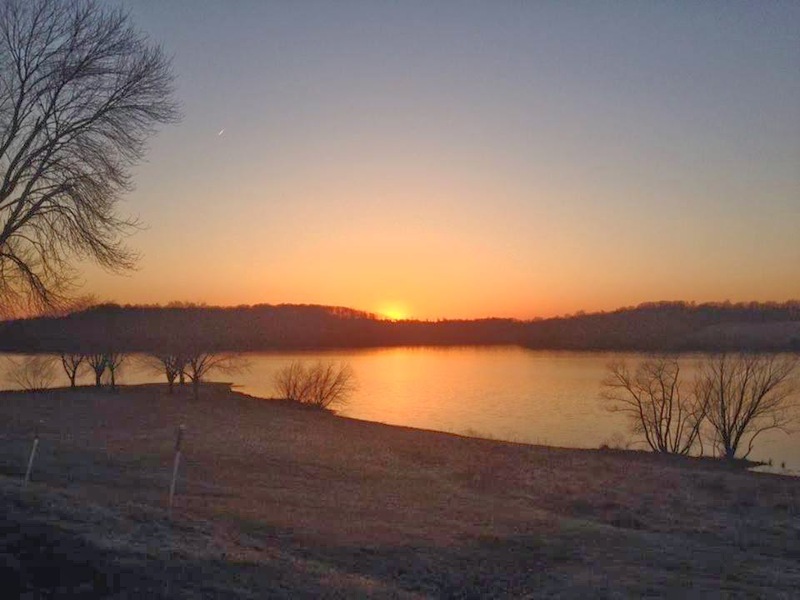 We enjoy the sunset, feel the breeze off of the lake, listen to the wildlife, look at the moon and stars, and also watch the planes- we are directly under the flight path to the Philadelphia airport, so we see all of the planes approaching. There is something so peaceful, simple, and serene about a night like that. Just thinking about it helps me relax. 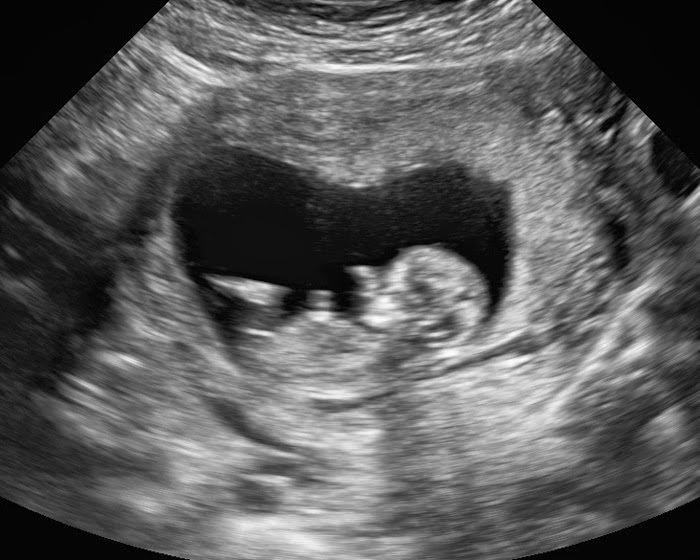 6) My first ultrasound picture- I am sharing this because it brings me so much joy. I carried 4 beautiful babies, and I actually got to see this baby. This reminds me how beautiful pregnancy is and how blessed I am to be able to get pregnant and experience such a a miracle. We never had the chance to play, To laugh, to rock, to wiggle. I’ll always be your mother.He’ll always be your dad. 9) A smiley face magnet- because sometimes, all I need to smile is seeing that silly smile. 10) The coming home outfit Heather and I purchased together. 11) Seashells- these aren’t just any seashells- they are from our honeymoon in Ocracoke, NC. It is our favorite place to vacation, and we have done so on several vacations. It was on our honeymoon that we made a lot of decisions about our family, and therefore, it holds a dear place in my heart. 12) Letters- I wrote a letter to myself and a letter to each of my babies. My box has all of the letters in envelopes (that remain unsealed so I can read them as I choose). The letter to myself is about staying strong, my reasons to carrying on, reminders of the hope and joy in my life, and most importantly- a list of all of the reasons that we are strong. Each letter to the babies details my pregnancy, my emotions, my love for them, fun tidbits about different milestones, a prayer for each of them, and a memorial of their life. Some people might be a bit put off about the letters, but they are exactly what I need. They may not be for you, and that is okay! I have many other things in my box- stickers, drawings, cards, poems, pictures, etc- but those are the basics. I add to my box constantly and each time I open it, it is a reminder of how blessed I am and how many wonderful things there are in life to be happy about. I would encourage any Mother of Loss to create her own box. It has been therapeutic, validating, and my strength when I just can’t muster any.